Well, I was hoping they'd reveal the last god today, but maybe they're holding off for now, or else it will be revealed, Wizards just decided they wouldn't be the ones to do it (or it will be a Reddit or Twitter thing). 3 mana for a 2/2 which gives everything first strike and opponents lose first strike. 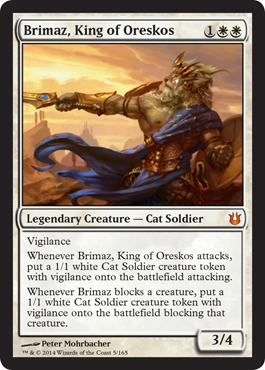 Definitely a boost to Boros decks that employ Battalion, and it is great for match-ups. The way I see it with this cycle is that in match-up games, it becomes a "who can play the Archetypes first" to come out on top as opposed to luck of the draw which sets in halfway through the game. 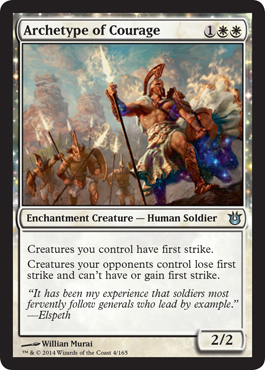 This gives you the edge to win because, if I interpret this correctly, if you cast this first, an opponent casting their copy just gives them a 2/2 for 3 mana because the ability of yours triggers denying their creatures from obtaining first strike by them playing this card. These will be crucial to have for sure. 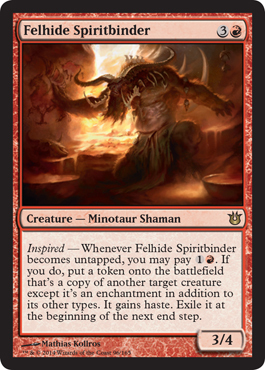 Here is the second card revealed of the rare "Fated" cycle. These look to be useful for Commander/EDH, but still playable in Standard. 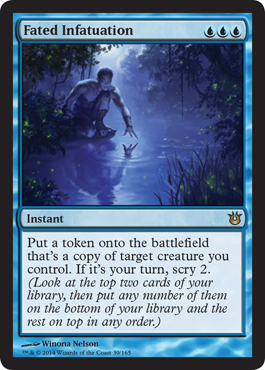 Here, 3 mana (all blue) to copy a creature and place a token copy (Copy anything you want...) and you scry for 2 if you play this instant on your turn. 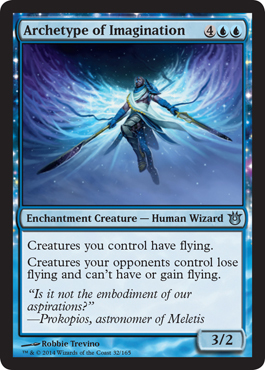 Already that's amazing, and both together lead me to call it EDH material, especially since you want to find your combos in EDH and copying creatures (using cards like Clone) is a big thing for blue players. You may have already met this one, and I like it. 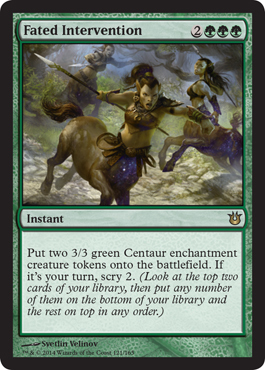 Bit difficult to cast, but it will be great in Limited, and on top of it all, you get to scry on your turn. 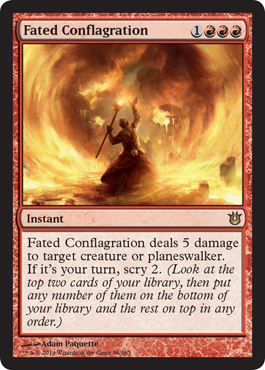 Instant speed removal for Planeswalkers in red. This has been a great week 1 so far, and we're only a few weeks away from prerelease. Keep checking the spoiler page for any more cards, and if you haven't figured it out already, the spoiler pages on this site (whenever they get posted), the cards show up in collector numerical order/the same way you'd see them in the Fat Pack books.